Westerns do not have to be set in the mid-to-late 1800s America. Sometimes, a story set in the distant future or other lands can still contain elements of a classic western. Those are the type of movies and TV shows that I highlight today. Also, this is not a list, but rather a collection of fiction that portrays a different take on the western genre. 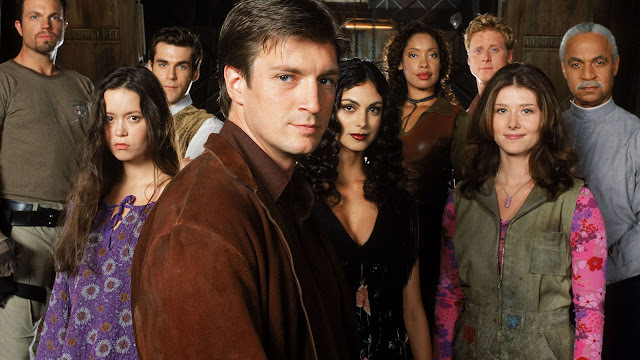 Firefly and Serenity are an obvious pick for an unconventional western. Taking place in the distant future where humanity has spread across the stars, space is like a wild frontier with outlaws and smugglers. Everyone knows Firefly as the TV show that ended well before its time. While its short run is unfortunate, we will always have Joss Whedon and company's brilliant first season of television and the feature film, Serenity. 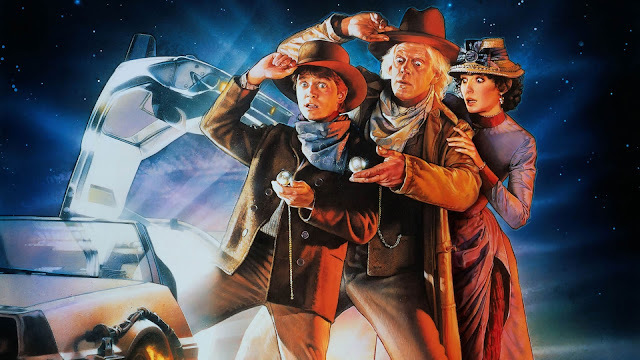 The third and final part of the madcap time-travel classic, Back to the Future Part III is a fun adventure through the old west with Doc Brown and Marty McFly. It might not be a stellar film by any stretch of the imagination, but it is full of classic western references and witty humor. A South Korean film set in 1800s Korea, The Good, the Bad, the Weird is inspired by Sergio Leone's Spaghetti Western, The Good, the Bad and the Ugly. Much like the original film, it features a memorable cast of cool and zany characters, with Song Kang-ho as the "Weird" being the standout. This South Korean take adds an eastern action flare with lengthy action sequences with practical stunts and superb direction. If you enjoy westerns, foreign films, or entertaining action comedy, give this one a watch! Yes, I know what you are thinking: "An anime? Who would watch that weird Japanese stuff?" But hear me out. Trigun is a sci-fi action comedy set on a new plant that humanity colonizes, and it is a barren wasteland, just like the Wild West. The series follows Vash the Stampede, a man with a 60 billion "double dollar" bounty on his head. What makes Trigun unique is that it starts out as an action comedy with wacky characters and fun action, and then shifts gears to a serious series with complex themes of heroism. Interestingly, the writer of the original comic (manga) that the anime was based on is a Christian, which is evident by the themes expressed. It explores the consequences of a hero that refuses to kill, like Batman, and how that can lead to even more deaths of innocents. 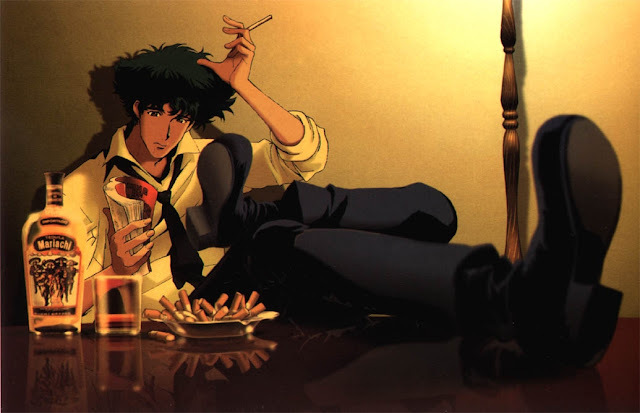 Another anime, Cowboy Bebop, a classic that everyone should have at least heard of by now, is set in the future where humanity is spread across the stars where bounty hunters, referred to as "Cowboys," roam the galaxy in search of their targets. That's the premise of Cowboy Bebop, but that is only the beginning. The series is heavily influenced by American filmmakers, and the soundtrack varies from smooth jazz to classic rock with each episode being titled after a style of music. Once you get past the slow start, Cowboy Bebop is an unforgettable classic that should be watched by all; I even own the Blu-Ray set! If you are not sold on it after episode 1, skip to Episode 5; that should sell the show to you. 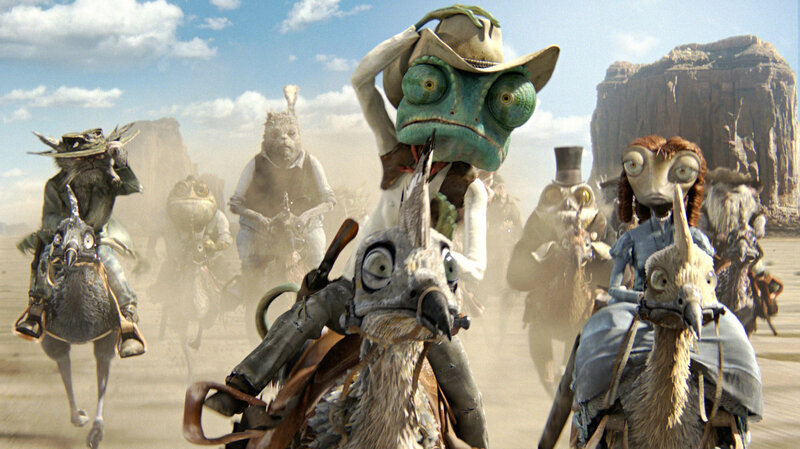 An animated film starring Johnny Depp, Rango is one of the funniest animated films of the last few years. The plot is a fun twist on classic western stories with animals and shockingly detailed 3D animation. What are some of your favorite Unconventional Westerns? Have you seen any of the films on this list? Please let me know in the comments, and do not forget to check out my Top 10 Westerns list in the following links: Part 1 & Part 2. Unless I think of one final post tomorrow for Emma, Plain and Tall's Legends of Western Cinema week on A Lantern in Her Hand & Meanwhile, in the River...., this is the end of my western posts. Thanks everyone for reading, and I hope you have found a few new westerns to watch. My Top 25 Sci-Fi Movies list continues next week, so be sure to check back for that!